There are places in the world that are just plain amazing. Really, it’s that simple. It’s not unusual for humans to create the master “travel list” that includes all of the usual suspects: the Grand Canyon, the Colosseum, ancient Greece, the Redwood Forests of California and all the rest. Our lists are as varied as we are, and reveal a lot about us as people. List making is important, and all of us at Explore Licking County encourage it in the spirit of seeing and doing new things. Sometimes, though, there are places that remain largely undiscovered – known and loved by the locals only. We feel connected enough to these spots that we protect them and hold them close, wanting them only for ourselves. It’s selfish; we know. This year, however, we are throwing caution to the wind and sharing our lists of off-the-beaten-path Licking County locations for you to enjoy with us. We asked a group of our friends to connect with their out-of-town friends to really dig in, showing them how we live locally. 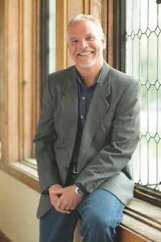 Their journeys were unique and, without any prodding from us, they explored some of the very best Licking County has to offer. We followed along on four very different pilgrimages with these groups. We ate breakfast with them in some of the best local spots (where laughter and gossip are as abundant as the eggs and bacon). We traveled to apple orchards. We sat quietly by as kids and adults splashed ankle deep in clear, cool streams. The art movement, generational cemeteries, craft beer, local food, ice cream and downtown living were all on their “lists” too. I was excited by their choices and am happy to share their secret spots with all of you this year. 2019 is an important year for Explore Licking County. We are celebrating our 15th anniversary and have devoted our cover to that all-out celebration. There’s no doubt that it’s a visual departure for a travel publication. Some might even argue that is doesn’t sell tourism. I respectfully disagree. To me, it sells the idea that, although Licking County is agricultural and part of working-class America, it also has black tie appeal and a flair for the unexpected. All of our cover models are also your journey ambassadors throughout the magazine. The cover photo is the last time you’ll see them dressed to the nines though; going off the map is not something you’ll want to do in formal wear. Jeans are still appropriate! I hope that your personal gotta-see list has a bit more room, and you’ll consider penciling us in this year. 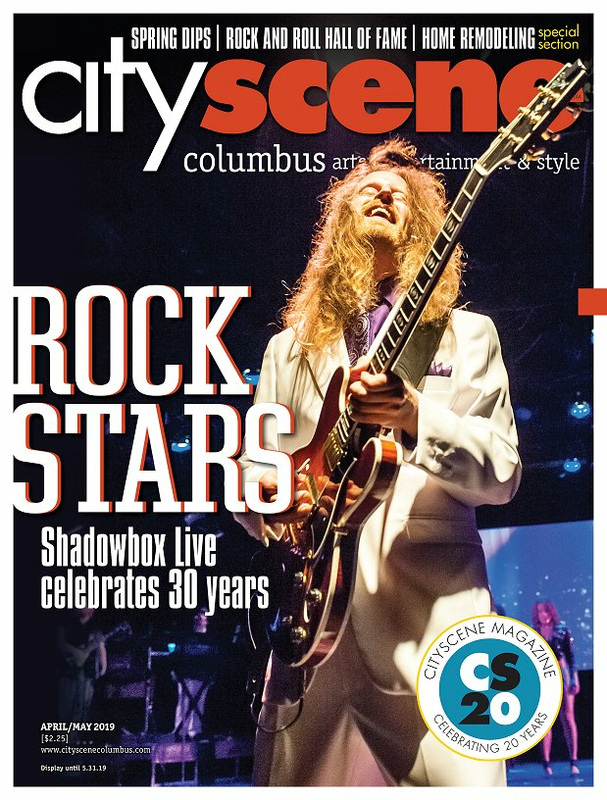 To that end, we’ve added three additional editorial pieces devoted to exciting changes coming to Licking County in our anniversary year: A renewed Buckeye Lake is ready for summer of 2019, the restoration of the famed Louis Sullivan Bank Building of Newark is happening and the much-anticipated completion of our first state-of-the-art skatepark. There’s a lot to celebrate this year! Whether or not you stay on the beaten path, or venture off is up to you… it’s all worth the trip. 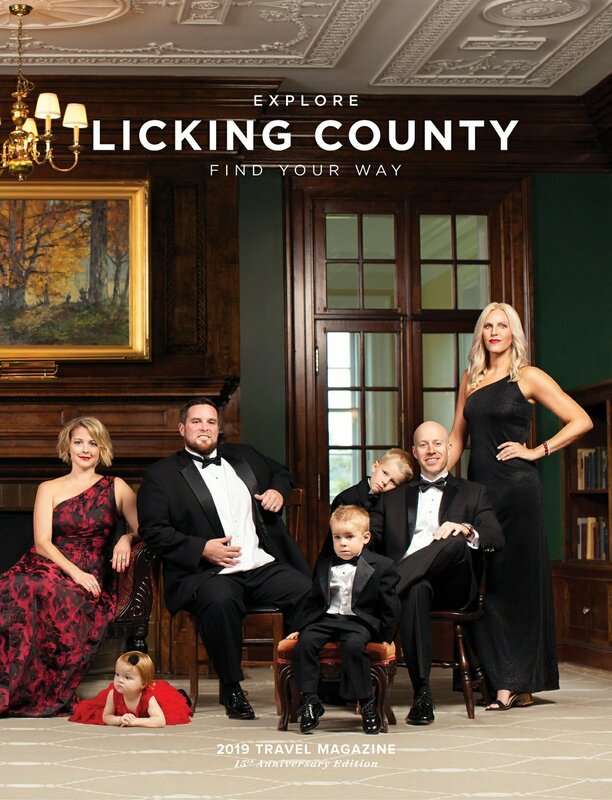 CLICK HERE to read the 2019 edition of Explore Licking County Travel Magazine!